So, it's taken a lot longer than I had originally planned to get this post out to you, it's easy for other things to come up but at least it's finally here! Better late than never right? 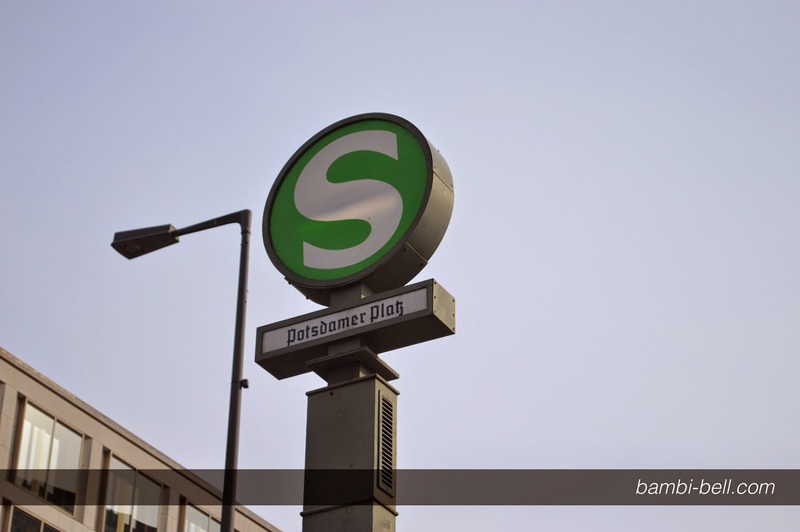 This post won't be too long, I just wanted to share a couple of places that I visited while in Berlin. Over at Potsdamer Platz, there is a lovely little shopping mall to suit any of your shopping needs. I even got a free bag while I was wandering about. We didn't plan anything before heading out to Berlin as we just wanted to explore a little bit, as the main point of the trip was pure relaxation, hence the reason we booked such a nice hotel! 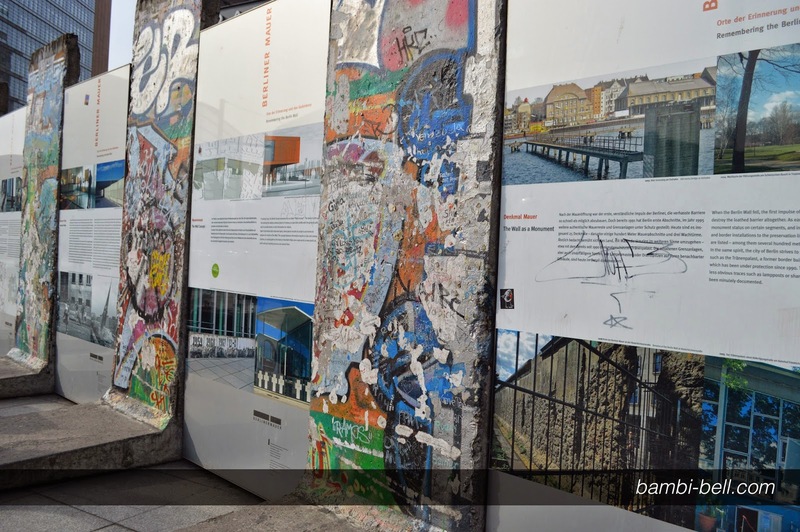 The main reason we headed over to Potsdamer Platz was due to part of the Berlin wall being there and although we didn't plan to do much 'touristy stuff' while out there it would have been crazy to not see it! It was interesting and I learnt some new facts I had never known about. If you know me at all I'm not a big history buff but visiting landmarks and museums is where I find my interest and appeal, I was never good at the history classes in school! So, if you're like me and don't have the biggest knowledge of history don't ever let that put you off visiting things like this as it's very interesting and it's hard to not be amazed by it. Now, there is no way you can't visit Berlin without at some point venturing into Alexanderplatz. 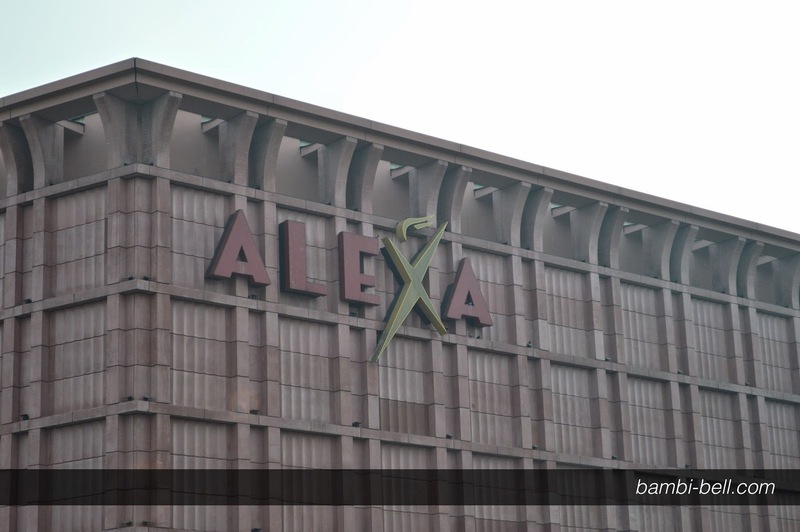 Alexa, is just a giant mall, tons of shops, plenty of food places and an all round cool shopping experience. I'm always up for shopping while abroad as I like the idea of picking up stuff I can't get back in London, so if you like shopping you'll certainly like Alexanderplatz. One thing I loved in Alexanderplatz was the various street acts dotted around, plenty of musicians including a bagpipes player which surprised me! 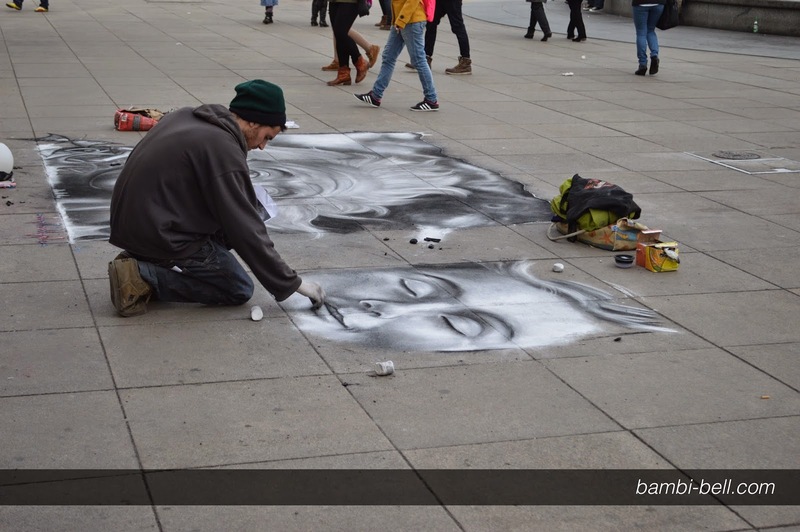 However, my favourite of all the street acts was this guy, he is crazy talented and I found myself detouring back around to see the progress of his art. 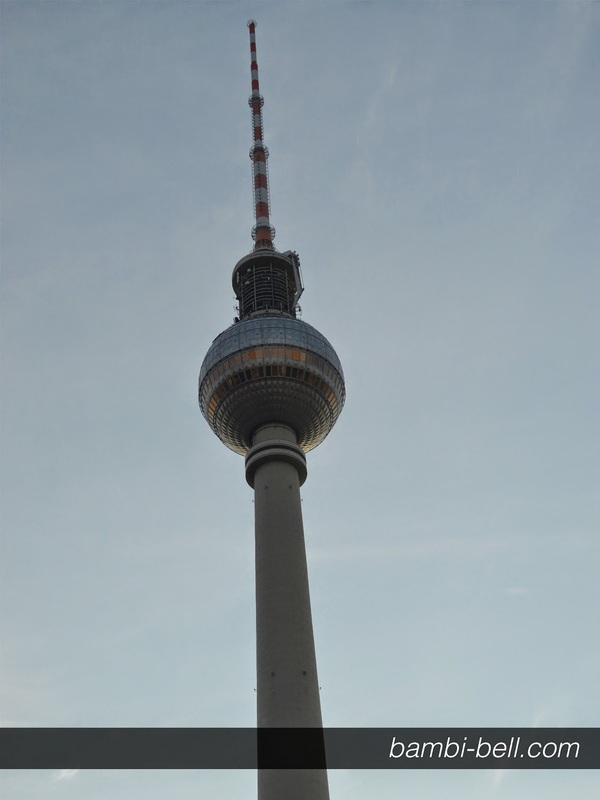 The TV Tower has to be one of the coolest things to experience when you head to Alexanderplatz, then again visiting any country and being able to view the city from up high will always be something special. I would suggest pre-booking tickets as you can end up waiting a while, luckily as it's right by all the shops you won't get too bored waiting for your allocated time. 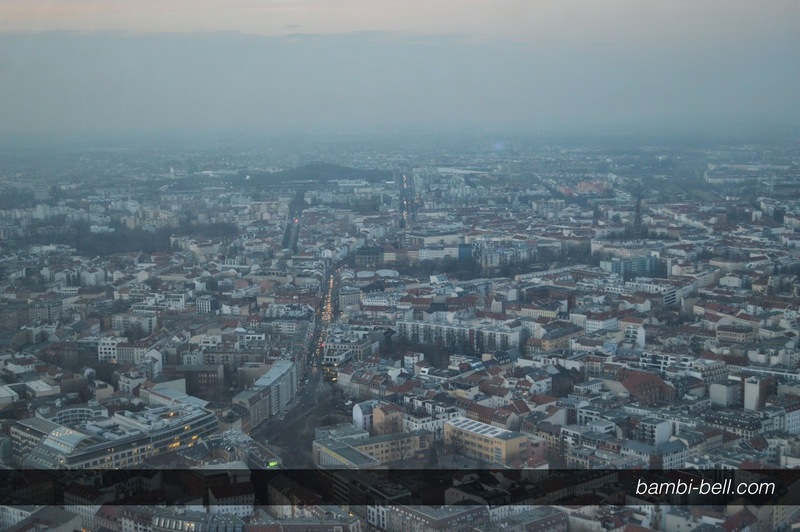 View from the top, it was pretty amazing to wander around and see Berlin from all angles. They even have a bar and restaurant up there too so if you have time it's definitely worth grabbing a drink or a meal there too. Something important to note is when you visit your first participating attraction you'll receive a discount booklet so for any other places you visit you'll get a various range of discounts on entry. It was actually the thing that inspired us to visit the Aquarium, and it'll give you a few ideas on things to do. As we had quite early on decided we would definitely visit Berlin again it took a lot of the pressure off to try and do all the tourist type stuff, so at least the next time I'm there I can go see a few more things without rushing around! I've got a few posts in progress which you won't be waiting too long to see soon!